If you haven't seen this video clip of Chris Medina auditioning for American Idol, grab a tissue and then hit play. It is a brief look at love, tragedy, and optimism. In less than five minutes, you will be cheering for this young man and his fiancée and hoping he has what it takes to go all the way. The song is Breakeven by The Script. And when I say all the way, I mean all the way in life. The show is a bonus. Good luck Chris Medina. You can enjoy the background song by Daughtry here: Life After You. It is widely known that Lions Clubs collect, refurbish and redistribute eyeglasses around the world. I found this picture engaging for it shows Lions Club member Dennis Markle working at home with the local Lenscrafters store and an optician to provide eyeglasses to children in his own community. Through a partnership with the store, school district and the DeSoto, Texas Lions Club, students needs are evaluated and met. Thank you Mr. Markle for the simple service you provide. Wear your vest with pride because you do make a difference. See the complete story online at Focus Daily News. Yes, the projects performed by Optimist Clubs around the world get me excited. I passionately believe that when individuals come together to do good things in their community, they are really extending themselves to improve their own attitude and station in life as well as the quality of life for all. I loosely say good things because the activities performed by an Optimist Club are varied, from two-person projects to programs that involve two thousand-persons and beyond. However, what is constant in all activities is passion, the willingness to make a difference and the desire to be involved. I recently came across this video produced by Chow.com highlighting Galco's Soda Pop Stop and passionate store owner and beverage connoisseur John Ness. It's categorized as obsessive and I will issue a friendly warning: it's probably much more than you want to know about soda pop. In fact, you probably won't miss anything if you stop watching at about four minutes in. I offer this clip as an example of how an idea can take over and direct our lives, but it can also serve as a reminder that it is within our power to choose not to duplicate the efforts of others. As Mr. Ness explains, we don't all have to sell Pepsi when a larger store already able to delivers it to consumers at the best price, or to reemphasize his lament, at a price that is lower than his cost. His passion led him to a niche market, but his business acumen is what allows him to succeed as he pursues his passion. As Optimist Clubs, we often choose projects that are easy to duplicate and then we wonder why our club didn't get noticed or why our attendance or participation was low. Then we are disproportionately disappointed because we were so passionately engaged in our mission. Conversely, a club might start a program, implement it for years, and then abruptly hand it off to another group because the individual who was passionate about the project is ready to move on. And sadly, some clubs choose to carry on projects, like the Santa Pal Program in North Carolina that the Optimist Club is passionate about but may no longer be relevant or sustainable due to the economy or other factors. What is the secret to longevity and success? Balance. Optimist Clubs, like business owners, must find ways to balance their activities that will allow them to be productive and grow. I believe the easiest way to find balance is to never do anything alone. Entrepreneurs often believe they are the best person to lead their business. Likewise, passionate committee chairpersons often believe they are the only one that can successfully carry out their project. Both are wrong. The most essential first step to achieving balance in your life is to engage others; engage others in your passion, project and purpose. Don't merely assign tasks and supervise their actions. Ask for collaboration and make decisions together. Balance your passion and you will achieve success. Take our YouTube star Mr. Ness as an example. What is the likelihood that someone shares his passion for the different varieties of soda and has the skill to run a successful business? Slim, I would say, unless he is willing to engage them now, nurture their interest, and help them develop their skills. If you follow my suggestion and engage early with others, you will be pleasantly surprised to learn they will celebrate with you today, help you revise your direction when needed, and carry on when you cannot be there. It's January and people are still striving to live up to their New Year's resolutions by being more active and involved in their community. Each week, in Baldwin, Alabama, the Press Register staff prepares a list of activities to help their readers find something that interests them. From dance classes to book clubs, from support groups to service clubs, there is something that meets the needs and interests of the 186,000 residents of the community. In fact, the contents of this link filled up seven pages, single spaced, in a Word document. That is a lot going on, a lot to choose from, a lot of competition for your attention. So how do you make your Optimist Club meeting stand out among the crowd? Can you learn to write a one-line headline that will draw people to your doors? Can you write a Twitter quip that will make readers click on your link? Yes, you can. Be useful - Promise that your reader will learn something they need to know. Be urgent - Demand that your reader take action now or on a certain date. Be unexpected - Offer something different or new to the reader. Be unique - Guarantee the reader will gain specific knowledge. Be honest - Set appropriate expectations for the reader. Of course, getting your headline read is only the first step to success. The content of your article needs to follow-through on the headline's promise; but most important, the experience needs to deliver what was promised. If you follow the suggestions above, you will get new, prospective members to visit your club and participate in your activities. It is up to you to make sure they have a positive experience. Over the Rainbow is a song that stays in your heart and in this version of the traditional song, Israel "IZ" Kamakawiw'ole's reminds us that although things may change perspective, that does not change the essence or meaning of your purpose. The story of a lost girl from Kansas turns into a grown man's story of searching for the meaning of life with every bit as much hope as it's predecessor. My favorite version is this one. How about you? This story is a throwback to the 1960s and 1970s, when ladies didn't join mens clubs and that was okay. Instead, the ladies would form their own group, a shadow group if you will, that would meet to socialize and support the generous work their spouses were doing in the community. In Optimist Clubs, we called these wonderful ladies an Opti-Mrs. Club. Imagine my surprise when I heard from the Opti-Mrs Club of Hopewell, Virginia that they were busy this week getting ready for a big fundraiser. On Saturday, January 22, they will serve up a big spaghetti dinner at the Hopewell Optimist Club, 1310 Lynchburg Street, Hopewell. For only $8 per person, participants can enjoy an Italian extravaganza with atmosphere, spaghetti, salad, bread, beverages and a very popular dessert bar. 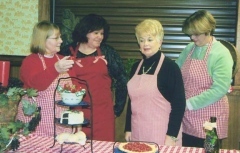 The ladies share their special recipes and have a great deal of fun planning and putting on the event. The money they raise supports such things as the Massey Cancer Center, Red Cross, Special Olympics, the local hospital and nursing homes and other community outreach centers. They also sponsor two scholarships for graduating seniors each year. Three of the original members still participate in the Hopewell Opti-Mrs. Club. Charter member Connie Bartlett explained what the group was all about. She said, "The Hopewell Opti-Mrs. are dedicated ladies who help support the community through their fundraisers, work well together and support each other as best friends." I don't know about you, but I find that statement priceless! Thank you ladies for what you do in your community. If you live in the Hopewell, Virginia area, please support their fundraiser. Call 804.458.6948, 804.458.1868, or 804.458.8745 for more information. "I have a willingness to improve and always learn," said author Amy Tan, best-selling author of the Joy Luck Club. This quote was highlighted by Richard St. John in his book, Stupid, Ugly, Unlucky and Rich. St. John's premise is that successful people keep improving and the story is a great follow-up to the book 8 to be Great where he describes the eight simple steps success. This is one of my favorite posts from last year and probably the quickest Ted Talk you'll ever see. Click over for three minutes to learn What leads to Success and I bet you, like me, will want to check out his next installment aimed at helping people be the best they can be. Spoiler alert: The big word this time around for St. John is serve. As an Optimist Club member volunteer, I understand the desire to serve others and I can relate to how we are all serving someone else in our lives and careers. And that is what drives me to continue to improve myself; my desire to make the world a better place to live. Do you have a secret to your success? Please share it with us. We'd love to know what motivates you to always improve. Inspiration comes from many sources. Some wake up to watch the sunrise while others cling to their pillow hoping to bring their nocturnal dreams to life. Some rise ready to sing life's praises, and others read the newspaper, watch the news stations, or log on to their computer to see what is worth their attention that day. We check into Facebook and update our friends on our activities and look to Twitter for a snapshot of the world. As the day progresses, we write our own stories in our hearts and minds of the many ways we have made our life a little better and when we are very fortunate, how we helped others. Words and deeds, thoughts and actions - all are important. All are inspirational. As an Optimist Club leader, I encourage my fellow service club members to share their stories of service with others, and I encourage every Optimist Club to start a blog so they can tell their stories in their own words and with their own passion. That is what will bring the most attention to our mission of service and the 65,000 projects we perform every year. Now an online friend has made the blogging experience even easier for those who were afraid to get started on their own. Meet Gordon Welling - or Optimist Gord as he refers to himself. Optimist Gord is the Web Services Chair and online voice for the AMS&NW District 13 - Optimist International and the co-creator of the Edmonton Dinner Optimist Club website. He's taken my dream of every Optimist Club having their own blog and started making it a reality with a series of online tutorials at Put Your Club Online With Blogger. 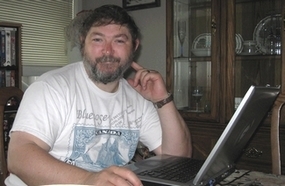 The idea to create tutorials came to him as he was working on the Edmonton Dinner Optimist Club website. By his account, he has been working on the project for more than four months. There are currently four modules that take a novice blogger through the Getting Started stages to the Add your First Content. 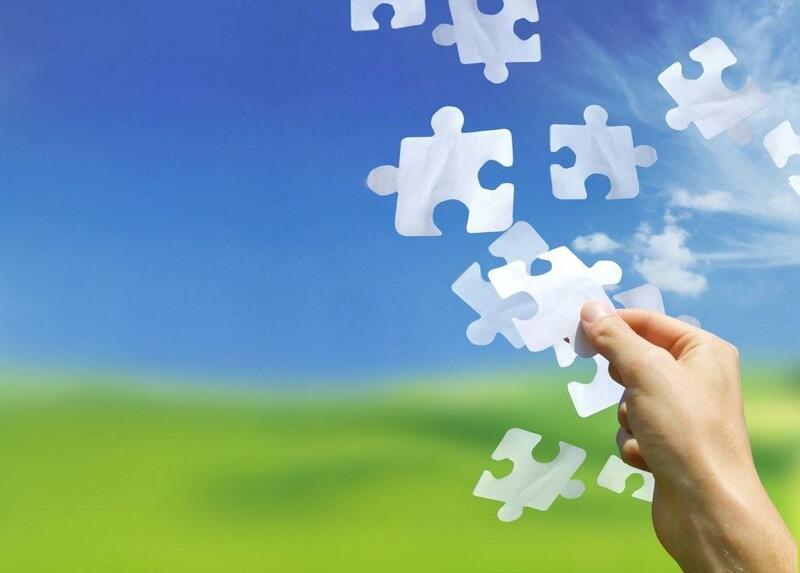 More modules are planned that will help the blogger create a website from their blog. With these step-by-step guidelines, Optimist Club members and others can share their stories with confidence, knowing help and encouragement is only a click away. Quite an endeavor. And quite an inspiration. Thank you Optimist Gord for sharing your optimism by helping others share theirs. It's the quickest way to feeling happy: Smile! According to Matthew Shafer, the musician who goes by the name Uncle Kracker, he and a couple of buddies got together and made a conscious decision to write a positive song. Well they certainly succeeded! Some call it a toe-tapper; I like to call it a sing-along, feel-good song. I hope you do too. Please sing along to Smile with Uncle Kracker on Music Sunday at Experience Optimism. This video was created by a young music video producer, Mike, 16, at Club Penguin, a Disney Membership Community. I struggled a little writing yesterday's post. You see, the subject matter did fall close to home because I don't always accept positive news for what it is. As I was choosing my words, I didn't know whether to use "we," "they," or jump into the omniscient author and write about "some" or "others." I decided to stay with "we" and put my imperfect self out there, for whatever it was worth. I can be included in that unknown majority of people that might sometimes gossip and might look for the story behind the story. In my defense, I'm not as suspicious as I used to be so I accept my foibles and move on to consciously being a better person. As so often happens, when I finished my post, I went over to Twitter to see what was happening in the world. 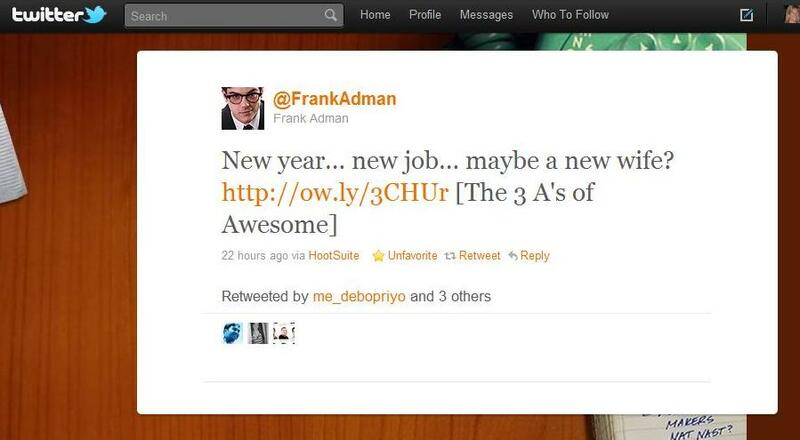 It was with incredible timing that @FrankAdman had just posted a link to a Ted presentation. Of course, from the shortened URL, I didn't know what I was going to find at the other end of the link. 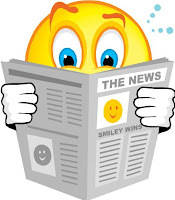 I just knew that it looked like good news from one of my Twitter friends so I clicked. The Ted presentation was wonderful and the whole series of events is a great explanation of why I love social media. Without @FrankAdman's tweet, I may have never found the story from Neil Pasricha about the 3 As of Awesome. I may have never found Neil's blog 1000 Awesome Things. Neil's talk reminds us to look at the world around us with a positive attitude - "with the eyes of a 3-year-old." Neil's blog gives us samples of experiences to savor. Now it's up to you and me to choose the right attitude. Enjoy the optimism. Look for positive news and accept it for what it is. Be happy, generous and always be kind. 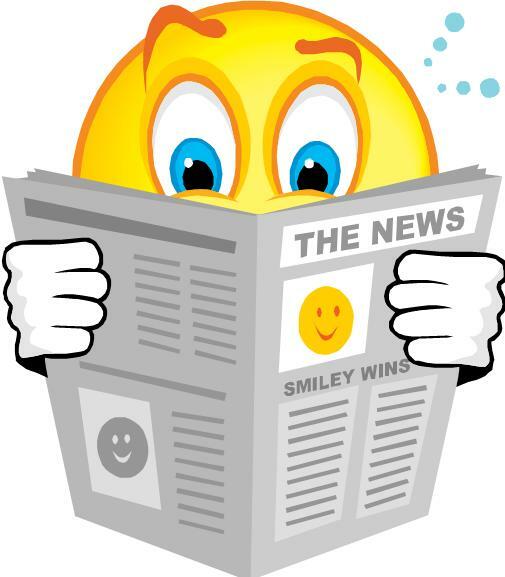 Do positive news stories lead to more kindness? Last week the social media world buzzed with the story of Ted Williams, the Man with the Golden Voice. It was an interesting story of an individual with a specialized talent, his fall to alcoholism addiction and homelessness, and hope for resurrection. Coming out rather quickly were stories of his former wife and their children who she had raised on her own. Some people claimed hers was the true inspiration, a story of survival and growth. And then there was the claim launched by the Columbus Dispatch that the YouTube video with more than 6 million views infringed on their copyright of the story. My how an innocent story can turn into a fight. This week he and his daughter have been detained by Los Angeles police for an altercation at a hotel and the Columbus Dispatch dispute carries on. Why is it so hard to recognize positive news for what it is? Why do some feel a need to find an opposing view or create a different storyline? The truth is many people are envious of celebrity and the whole magical series of events that lead to one person or act being recognized over another. We make judgments that our actions, causes or pursuits were equally worthy and wonder why we weren't recognized first and we look for the rest of the story. Perhaps subconsciously, we seek to associate with others who may have been wronged in the same manner, even when it leads to gossip. Persons who perceive they have been wronged are not always kind. Tell yourself this simple truth right now: I am worthy of praise. I can celebrate the success of others, acknowledge my own success, and continue on the journey to make our world a better place to live. Optimist Clubs, other service clubs and trade associations can help you share your success with others. I hope you consider building your sphere of influence by joining one. There is comfort and strength in belonging to an organization that exists to make sure positive things happen in their community. One of my favorite Optimist Club projects from last year actually began in October 2009 when the Optimist Club of Chillicothe, Illinois decided to reinvest in their community by purchasing and renovating the movie theater in their downtown core. In May 2010, the community celebrated the grand reopening the Town Theater with a red carpet gala. 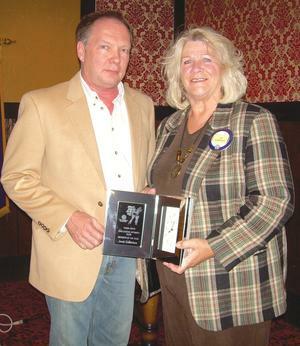 A little over a year after deciding on this revitalization project, the Chillicothe Optimist Club recognized one of their own for her great dedication to the project. J.B. Culbertson was named Optimist of the Year and recognized at the club's annual dinner by immediate past president Mike Mahoney. According to Mahoney, Culbertson was enthusiastic about the project from its inception and almost single-handedly raised $50,000 towards the mortgage. Congratulations to Ms. Culbertson, the Optimist Club and the community. Thanks to the Optimist Club of Chillicothe for the story and picture. In Princeton, Kentucky, the community came out to help build a place for kids to be kids, but that doesn't mean the Princeton Playground Project is over. Far from it. The Project is still underway and with the continued support of the Princeton Rotary and Optimist Clubs, they will be able to help maintain the playground in the years to come. The story here is two-fold. First, service clubs working together to make their community a better place to live is always a good thing. This time, they are doing so and paying homage to a Princeton native who has gone onto a successful second career as a stand-up comedian. The Rotary and Optimist Clubs have invited 65-year-old Gid Poole to return to Princeton to share his new-found comedy genius with his hometown in a private event that will serve as a fundraiser for the Princeton Playground Project. Now that's community! Building, sharing and celebrating the accomplishments of the community and its residents is the spirit of service. Click to read about Gid Poole's new career in the Princeton Leader online. If you live in the Princeton area, save the date - February 19, 7:00 p.m., Fine Arts Theatre at Caldwell High School for a double bill of fun and funny: Gid Poole and Mike Armstrong. Vulnerability leads to happiness; but don't take my word for it. Listen to storytelling researcher Brené Brown as she describes her journey of research into human emotion in an effort to discover why happiness eludes so many people. Her conclusion could be summed up in a few bullet points; we know these things already, but we need the story to accept our own vulnerability so we may make the change we need in our own lives. Six million hits on YouTube and a story on Mashable can't be wrong. That's why I had to add this video as an optimistic story of the day. According to Mashable author Brenna Ehrlich, job offers are coming in for Mr. Ted Williams, the homeless man with the golden voice. Take a listen, you'll understand why. Don't forget to check out the full story at Mashable.com. On Sunday, January 9, 2011, the video clip embedded from YouTube, and seen and broadcast by millions of viewers like me, became non-functioning because of a copyright dispute from Columbus Dispatch. You may click here for the original footage at their website. http://bit.ly/g0nByF. My apologies for not recognizing the original source. I was always a joiner. Throughout high school and college, I would join groups or work for causes that needed an extra set of hands, an energetic voice or an empathetic view. It was with the same purpose that I joined the Optimist Club of Granite City, Illinois in 1987. It was the right thing to do—everyone should give back to their community through service. At that time, the Optimist Club consisted mainly of older, retired gentlemen, many of whom had given of their time and treasure for many years to make their community a better place to live. They liked things a certain way and a young woman recently out of college boded change. For three years, I attended meetings, served on committees and struggled not to be threatening to the status quo. The club was a pillar of the community and I shared that respect for its members and deeds. In 1991, I lost my mother to lung cancer. It was quick as she passed away only four months after being diagnosed. Losing a parent is never easy, but the grief that accompanied this painful farewell was palpable. My new-found Optimist friends compassionately stepped in. They encouraged me to turn my grief into service by asking me to be their club president. I accepted. These two events are intertwined in my memory. They had a profound change on my life. The change came from being included – the invitation to lead this influential group meant that I was accepted into the old boys’ club. But it also meant that I had a support group to turn to outside of my immediate family. Finding comfort and security from friends as well as family gave me the confidence to succeed at this challenge and not be afraid to reach for even more. Our Optimist Club thrived and it set in motion a career in Optimism for me. After club president I accepted district and international leadership positions. I so admired the ideals of the organization that I went to work for Optimist International so I could share my passion with others. In yet another life-changing moment, I met an Optimist volunteer and moved from Illinois to Idaho. My Optimist story could have very easily ended with this move. In fact, it was placed on hold while I established myself in a new location and career. Almost twenty years after my delayed Optimist journey began I attended a banquet featuring Ronnie Dunn, the first female president of Optimist International. Her message about sharing our strengths, reaching out to others, and fulfilling the Optimist mission of bringing out the best in kids reminded me of the work I had yet to complete. You see, I discovered that my life-changing experience should not end with me. Real change can come full circle only when we empower others – children, adults, acquaintances and friends – to give of themselves by reaching for their full potential. We must always pass the gift of service forward. 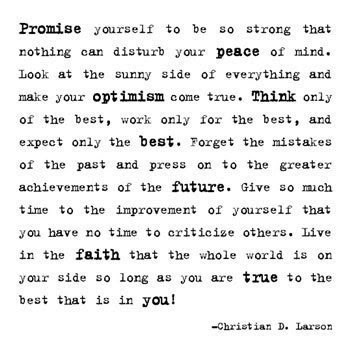 It's only right that we should start 2011 with the Optimist Creed. In the spirit of Music Sunday, I hope you enjoy the song as well: Butu na moyi performed by Congolese gospel group Makoma.